When you think about your wedding organization, obviously you will think to find the perfect dress, an amazing location and a tasty menu…but are you sure that will be enough? Usually there are so many “hidden” aspect in wedding planning. In the growing market of private events, furniture hire and the light design are surely two of these. Everything seems different among different lights, your smile will surely be the best way to illuminate your ceremony but won’t be the only light source. And what about furniture? Your wedding day may be the occasion to create whatever ambient you want! Don’t loose this chance! 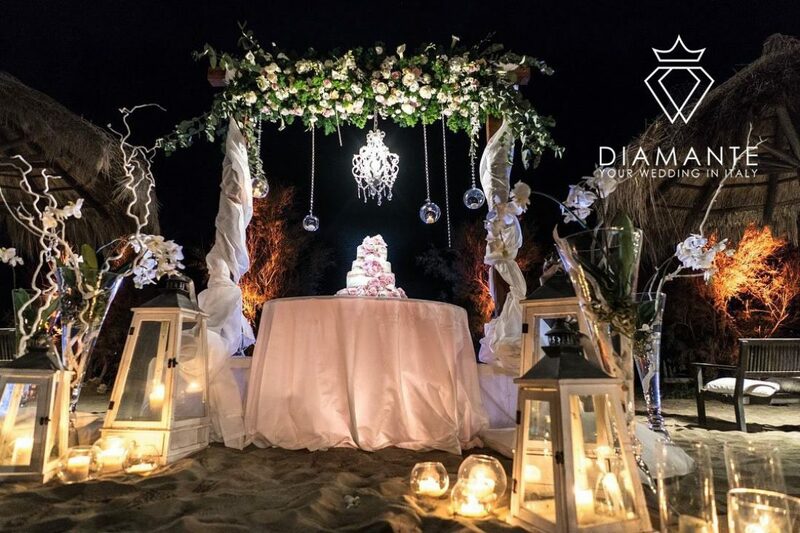 For your wedding in Italy, some masters of furnishing and lightning design will help you to understand the importance of these elements for the success of your event. One of the most popular company of Italy is ELE light. Created in 2005, ELE light is now a leader in the rental of furniture design throughout Italy. Thank to its offices in Rome, Milan and London, the company provides full furnishing package for any type of event, weddings, exhibitions, casting, business, art galleries. We choose to rely on their experience to show you all the aspects of this job. “Design does not furnish a room, it revives it” this is their idea, because a creative lighting design brings out the best of each venue. It creates the perfect ambient, animating the character and the atmosphere of the location. “Furniture does not just fill a space, it invents it” with bags of style and finesse, their designers are always working to develop ideas into shapes, offering a range of furniture completely eco friendly, respecting the environment. “Light does not turn on an event, it creates it” thy work to create magic effects through light. The company doesn’t sell products but a full service, from planning to production. Every customer will have at its disposal studio and event consulting; study of space and lighting design. Customer support, transportation, setup, disassembly and location assistance; providing a consulting service throughout Italy and abroad. For your wedding in Italy choose light and furniture design. Turn on your ceremony and create a unique refined atmosphere, to live your special moments.